*Post sponsored by 7UP, all opinions are my own. Must be 21 or older to consume alcohol. Please drink responsibly. 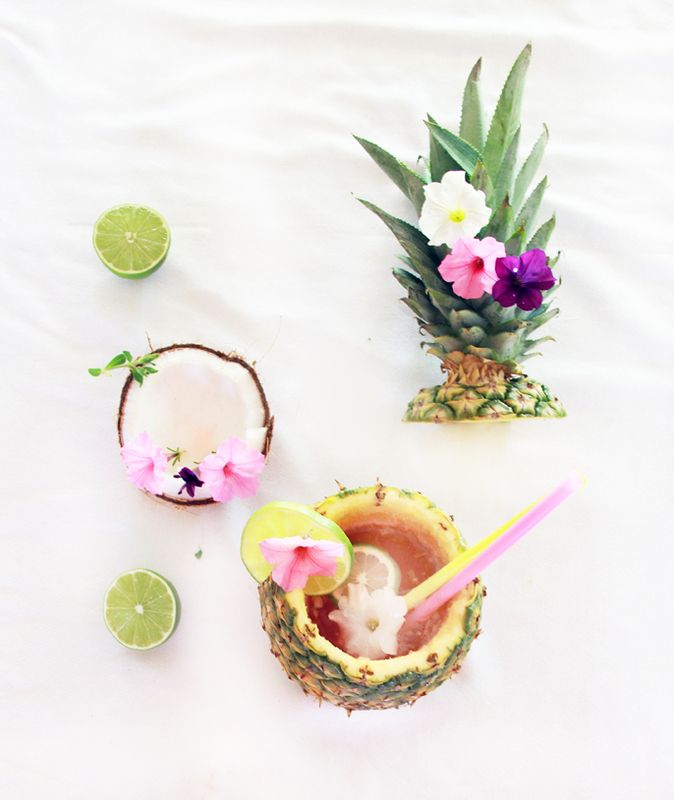 When dreaming of summer cocktails (which is often), I want something refreshing and crisp with a little touch of sweet. 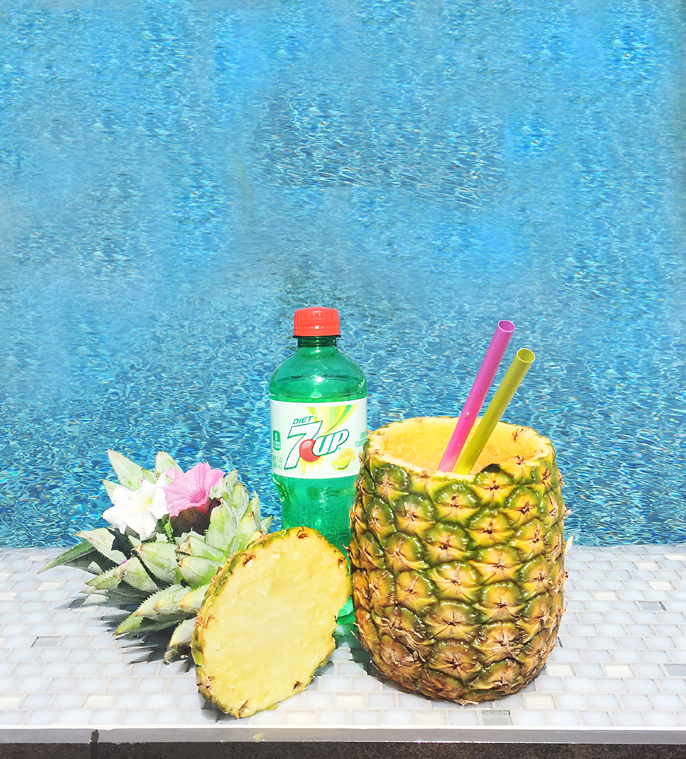 A flavor that reminds me of a beach resort in Hawaii and not the desert of Arizona… Pineapple juice is much too sweet on its’ own and I used Diet 7UP® to cut the sweetness a bit and add a crisp, clean flavor. I prefer to use diet over regular 7UP, but either soda will work well for the cocktail! 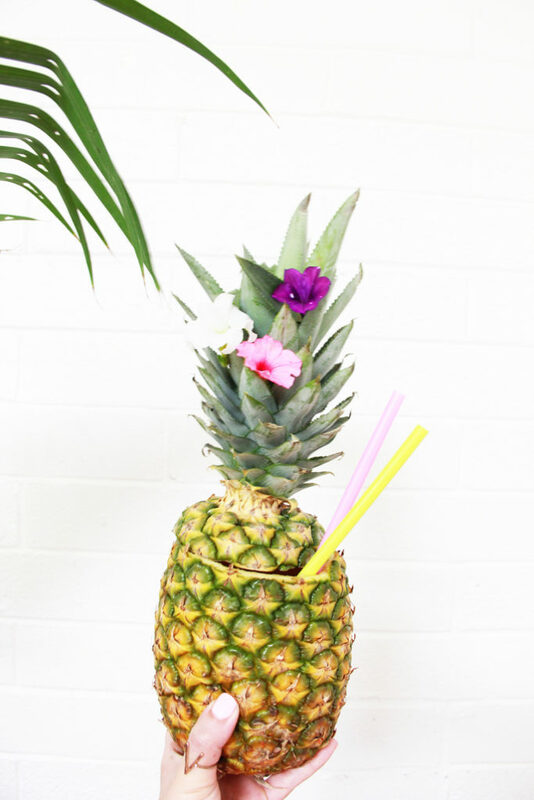 You may be sitting in your backyard at your house for the cocktail but you will feel like you are in a tropical paradise while drinking it! A pineapple cup is not essential for this cocktail, but it is perfect for a summer cocktail and it is so easy to make- it just looks hard to do. At least that is what I thought before I tried making one and I was shocked how easy it is! I purchased a pineapple corer at Target which made the job easy. 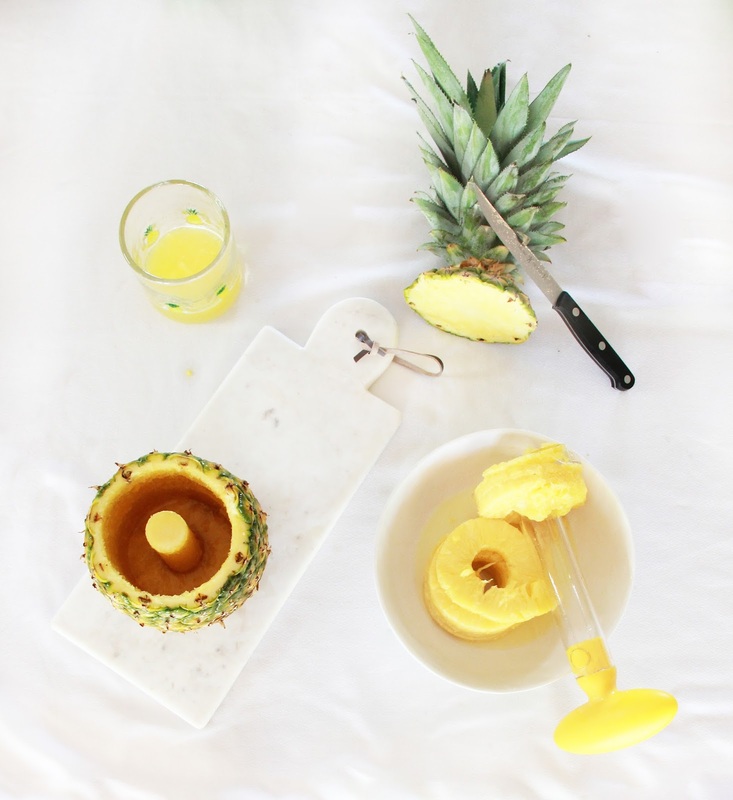 Insert corer, lift and remove pineapple rings! 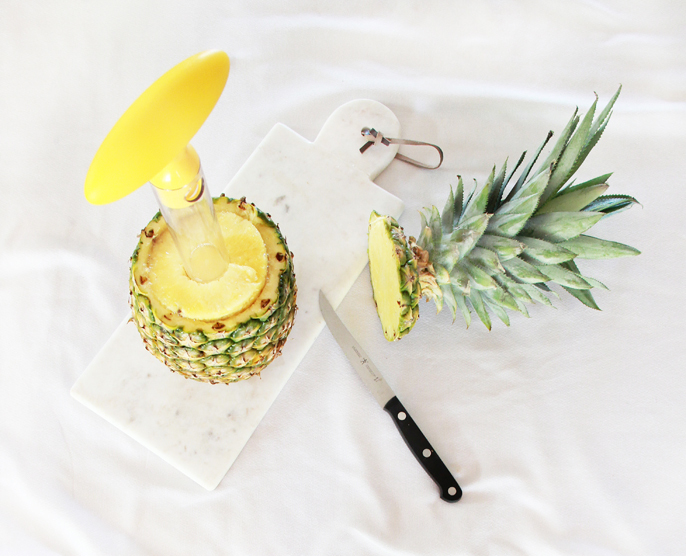 Cut out the core with a knife and reserve pineapple juice for the cocktail. I like to have both alcohol and nonalcoholic options for guests. 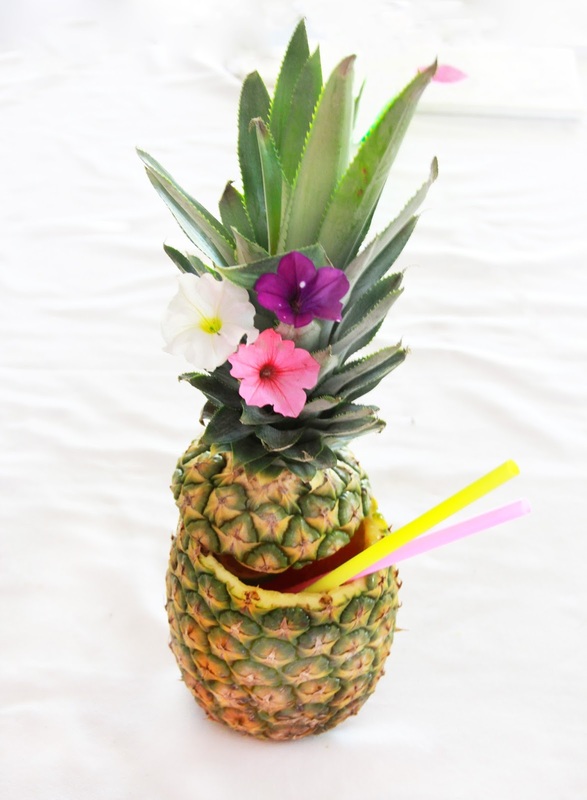 To make this cocktail a mocktail, add coconut water instead of coconut rum. 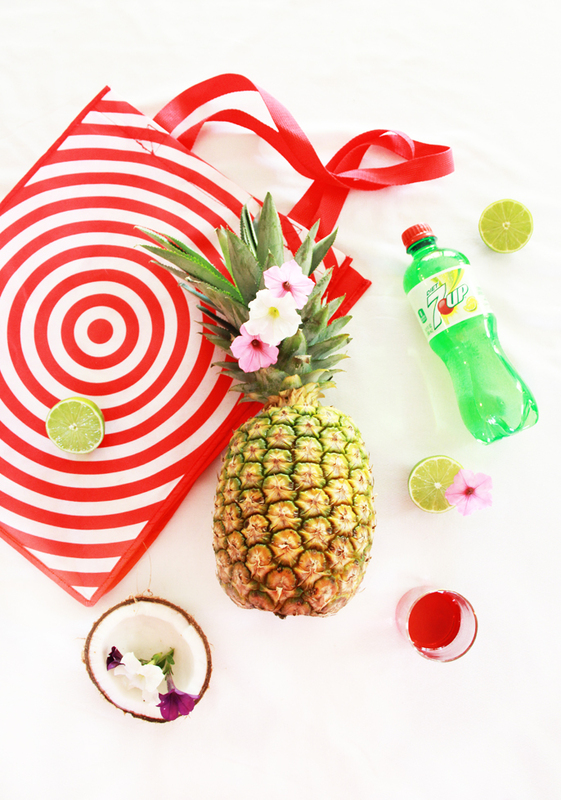 Check out Target’s Cartwheel offer for savings on 7UP and pick up all your supplies and enjoy a refreshing summer cocktail! 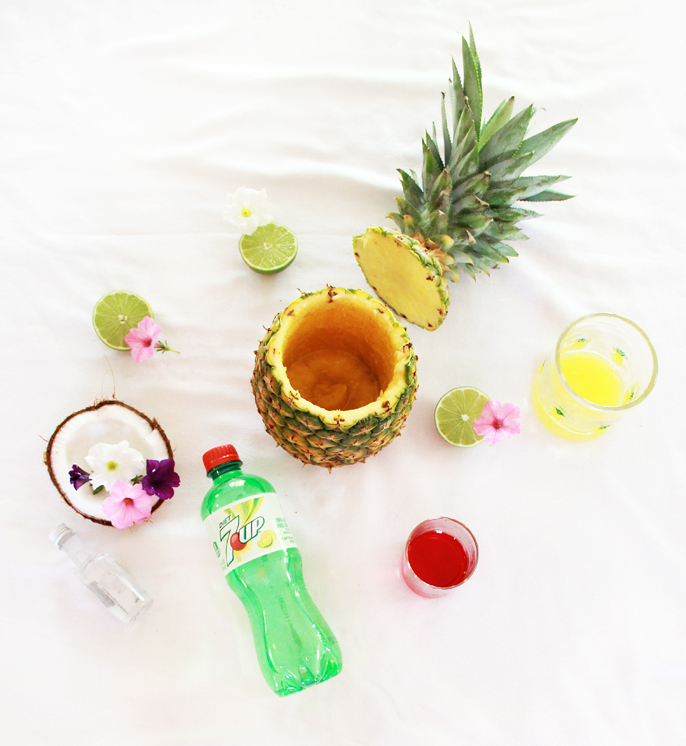 Click here for more inspiration and summer recipes with 7UP!